Behera D, ed. Text Book of Pulmonary Medicine. Jay Pee Publishers, New Delhi. 1995. Jindal SK, Gupta D, eds. Pulmonary and Critical Care Update. Pulmonary CME Programme, Chandigarh, 1998. Jindal SK, Gupta D, eds. Oxygen Therapy – comprehensive guide. Pulmonary CME Programme, Chandigarh, 1998. Behera D, ed. Lung Cancer. Sarthak Enterprises, Chandigarh, 1999. Behera D, ed. Bronchial Asthma. Jaypee Brothers Medical Publishers, New Delhi, 2000. Jindal SK, Malik SK, Qamra SR. A study on the habits and attitude aspects of tobacco smoking in Chandigarh. In: Vishwanathan R, ed. Smoking and Health. V. P. Chest Institute, Delhi. 1982: 14-23. Malik SK. Tobacco smoking, product preference and chronic bronchitis. In: Viswanathan R, ed. Smoking and Health. V.P. Chest Institue, Delhi. 1982: 83-90. Jindal, SK, Malik SK, Banga N, Bansal RC. Blood carboxyhaemoglobin in cigarette and bidi smokes. In: Vishwanathan R, ed. Smoking and Health. V. P. Chest Institute, Delhi. 1982: 203-207. Jindal SK, Malik SK. Tobacco smoking and nonneoplatic respiratory disease. In: Sanghvi LD, Notani P, eds. Tobacco nand Health – the Indian scene. UICC Workshop. Tata Memorial Centre, Mumbai. 1989: 30-36. Jindal SK, Gupta D. Tobacco smoking, exposure to environmental tobacco smoke and respiratory disease. In: Gupta PC, Hammer JE III, Murti PR, eds. Control of tobacco related cancers and other diseases – International symposium. Oxford University Press, Mumbai. 1992: 187-192. Bambery P, Jindal SK, Kaur U. Pulmonary complications of malaria. In: Sharma OP, ed. Lung Diseases in the Tropics. Marcel Dekker Inc., New York. 1991: 101-134. Jindal SK, Wahi PL. Pulmonary function laboratory in the tropics: needs, problems and solutions. In: Sharma OP, ed. mLung Diseases in the Tropics. Marcel Dekker Inc., New York. 1991: 523-542. Behera D. Immunology. In: Shankar PS, ed. Technical series on Pulmonary Tuberculosis. Association of Physicians of India. 1995: 14-17. Behera D, Immunopathogenesis. In: Shankar PS, ed. Technical series on Pulmonary Tuberculosis. Association of Physicians of India. 1995: 10-13. Gupta D, Jindal SK. Pulmonary problems in AIDS. In: Kakkar DN, ed. AIDS prevention – The emerging challenge. The environment society of Haryana, Chandigarh. 1995: 57-62. Gupta D. Pneumothorax In: Grover A, ed. Medical Emergencies in clinical practice. Creative Computer Services, Delhi. 1995: 89-90. Jindal SK. Newer approaches in the management of acute lung injury in developing countries, In: Update in Respiratory Medicine. 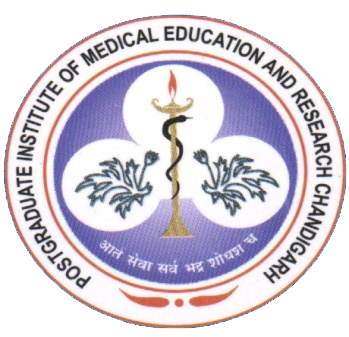 Institute of Medical Sciences, B.H.U., Varanasi. 1997. Jindal SK. Acute lung injury. In: Sharma SK, Behera D, Mohan A, eds. Recent Advances in Respiratory Medicine. Jay Pee Brothers, New Delhi. 1998. Behera D. Chronic obstructive pulmonary disease. In: Sharma SK, Behera D, Mohan A, eds. Recent Advances in Respiratory Medicine. Jay Pee Brothers, New Delhi. 1998. Behera D. Lung Cancer. In: Sharma SK, Behera D, Mohan A, eds. Recent Advances in Respiratory Medicine. Jay Pee Brothers, New Delhi. 1998. Bhadoria DP, Behera D. Interstitial lung diseases. In: Sharma SK, Behera D, Mohan A, eds. Recent Advances in Respiratory Medicine. Jay Pee Brothers, New Delhi. 1998. Gupta D. Pneumothorax. In: Grover A, Aggarwal V, Gera P, Gupta R, eds. Manual of Medical Emergencies., MM Health Care Pvt. Ltd., New Delhi. 1997. Jindal S.K, Gupta D. Newer concepts in diagnosis and management of sarcoidosis, In: Bansal BC, ed. Postgraduate Medicine. Association of Physicians of India, New Delhi. 1997. Jindal, SK, Acute severe asthma. In: Aggarwal V, Grover A, Gera P, Gupta R, eds. Medical emergencies. MM, Health Care Pvt. Ltd., New Delhi. 1997. Jindal SK. Functional abnormality. In: Shankar PS. Chronic Obstructive Pulmonary Disease. Indian College of Physicians, Mumbai. 1997: 42-49. Behera D, Dash S. Yadav SP. Carbon monoxide exposure from various cooking fuels. In: Sims J, ed. Women Health and Environment. World Health Organization, Geneva. 1994: 101-103. Behera D. Investigations. In: Shankar PS. Chronic Obstructive Pulmonary Disease. Indian College of Physicians, Mumbai. 1997: 50-59. Jindal SK, Gupta D. Oxygen Therapy. In: Gupta PR, Gupta ML, eds. Respiratory and Critical Care Update. 1998: 47-60. Jindal SK: Tuberculosis in health care workers (eds S.K. Sharma, A. Mohan). In Tuberculosis (Second Edition). 2009; 634-45. Jindal SK: Old age, disease and terminal care: A Hindu perspective. (eds S.C. Chatterjee, P. Patnaik, V.M. Chariar). In Discourses on aging and dying. 2008; 217-25. Jindal SK: Bidi smoking and lung diseases (eds P.C. Gupta, S. Asma). In Bidi smoking and public health. 2008; 129-41. Jindal SK: Interstitial pulmonary fibrosis (ed S.N. Shah). In API Textbook of Medicine (Eighth edition). 2008; 386-9. Behera D: Complications of pulmonary tuberculosis (eds S.K. Sharma, A. Mohan). In Tuberculosis (Second Edition). 2009; 519-31. Behera D: Benign and malignant tracheobronchial tumours (ed S.N. Shah). In API Textbook of Medicine (Eighth edition). 2008; 421-27. Gupta D: Suppurative pleuro-pulmonary diseases: bronchiectasis, lung abscess and empyema (ed S.N. Shah). In API Textbook of Medicine (Eighth edition). 2008; 373-8. Aggarwal AN: Tuberculous pleural effusion (eds S.K. Sharma, A. Mohan). In Tuberculosis (Second Edition). 2009; 245-67. Aggarwal AN: Drug-induced lung disease (ed S.N. Shah). In API Textbook of Medicine (Eighth edition). 2008; 419-20. Agarwal R: Pneumococcal infections (ed S.N. Shah). In API Textbook of Medicine (Eighth edition). 2008; 38-40. Gupta D, Handa A: consequences of sleep apnoea. In Medicine Update: Volume 17. RK Singal and DG Jain (ed). Association of Physicians of India , Mumbai 2007; 768-771. Vora A, Singh N. Algorithmic Approach for the Management of Pleural Effusion. In: Wander GS, Pareek KK, editors. Medicine Update 2016-1 (Progress in Medicine 2016). New Delhi: Jaypee Brothers Medical Publishers (P) Ltd. 2016. P1033-37. Agarwal R, Sehgal IS, Dhooria S, Aggarwal AN. Assisted ventilation. In Jindal SK, editor. World Clinics of Pulmonary and Critical Care Medicine. Jaypee Brothers Medical Publishers (P) Ltd. 2016. p10-35.